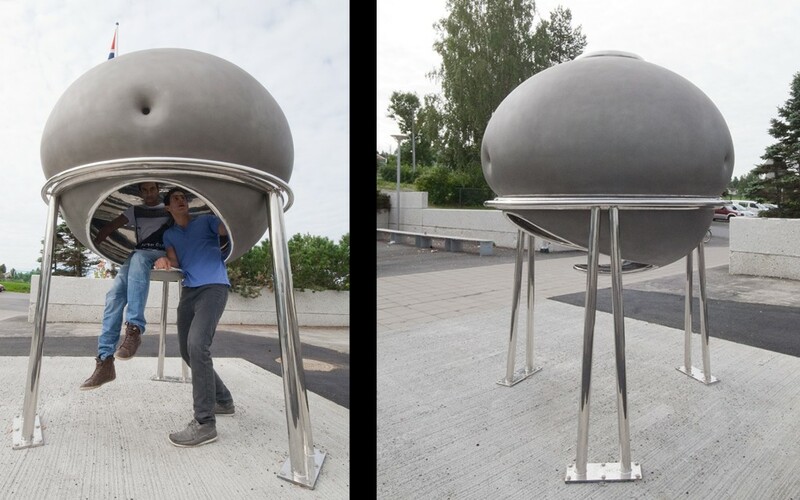 The art project “Sphere of Self Awareness” takes as its point of departure, the courage required to approach one’s limits, one’s own volume. 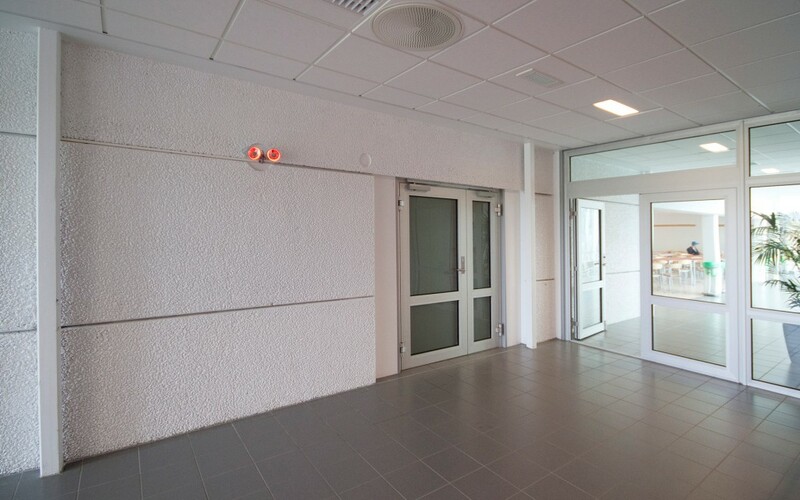 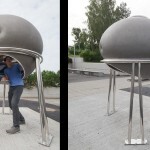 It is a space with unique acoustics, where anyone can play with self-made sounds, a space where one becomes the focal point when one stands in the centre, alone. 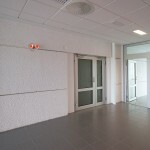 Its a space where things that we take for granted, like sound and light are, reinforced. 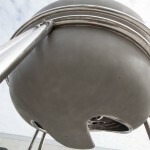 It is a sphere that gives a glimpse of eternity and responds to one’s own sounds and resonance. 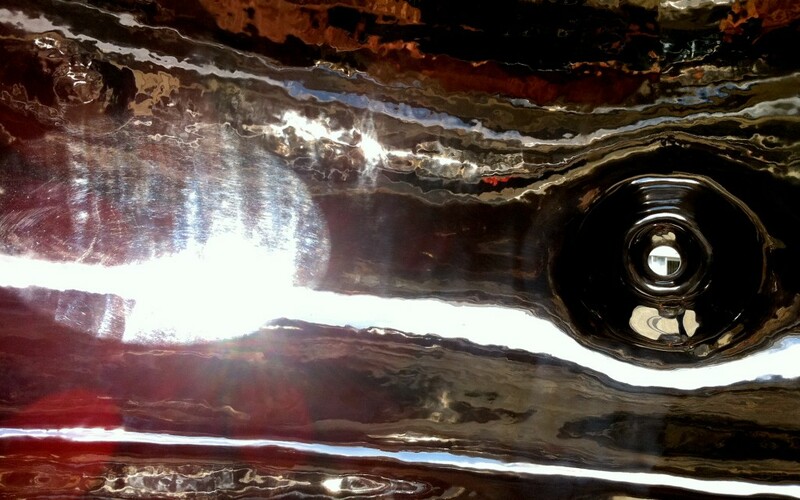 It is a body with tactile qualities and physical recollections,- slightly chubby, soft and sensual. 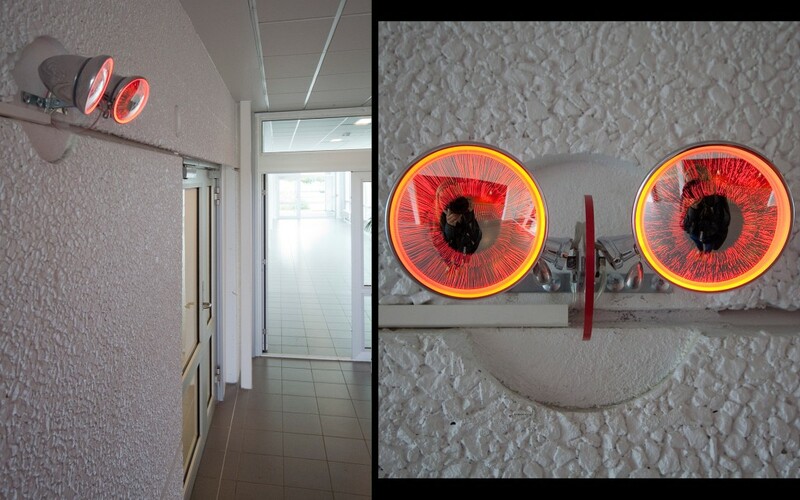 “Eyes of Providence” is a small indoor project,- a entity that looks at you, mirrors you and reacts to your movements with glowing red eyes. 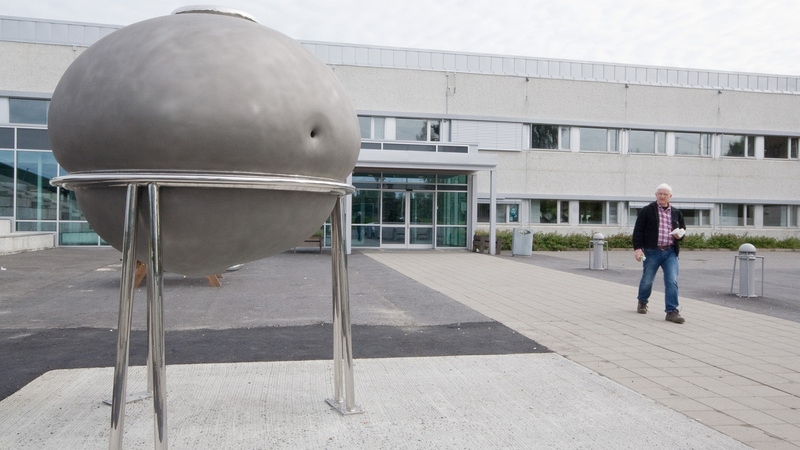 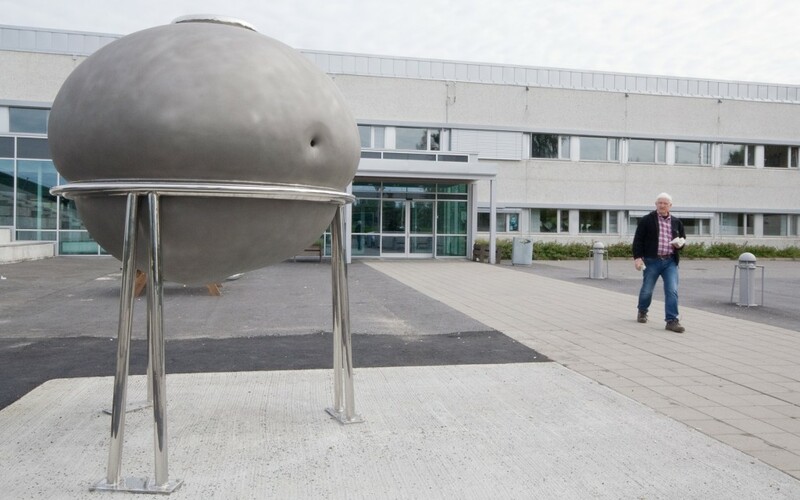 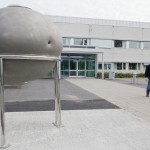 "Sfære for Selvbevissthet/Sphere of Self Awareness" og "Eyes of Providence", Vestby High School, Vestby. 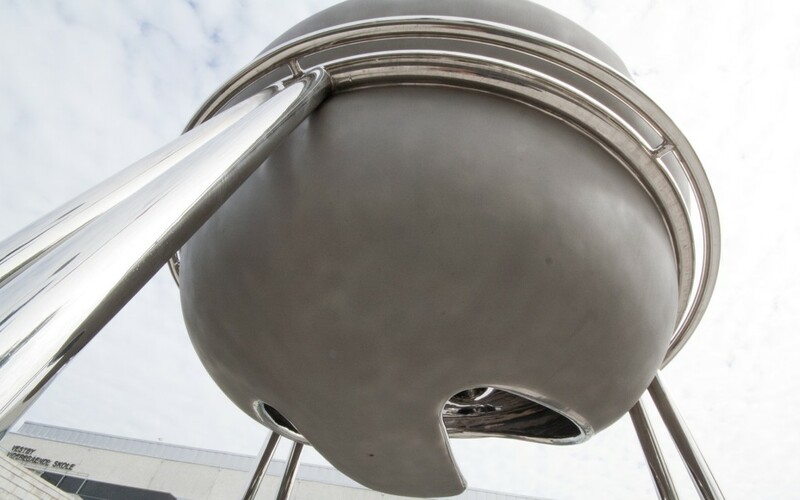 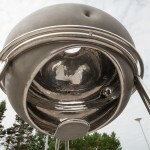 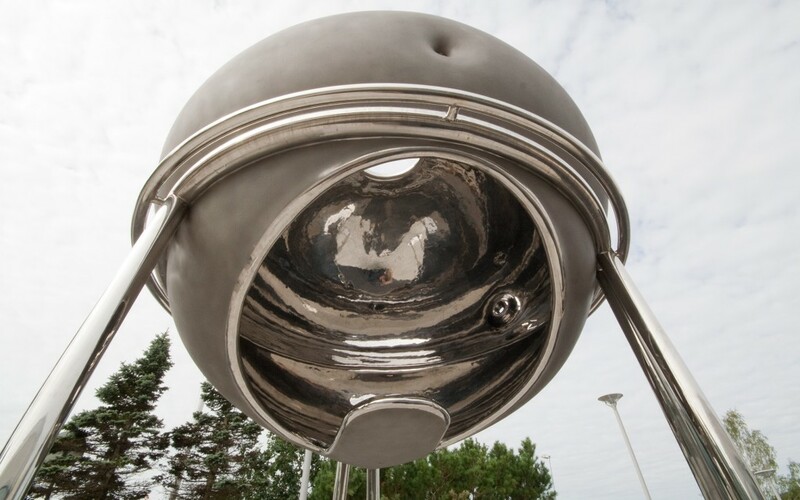 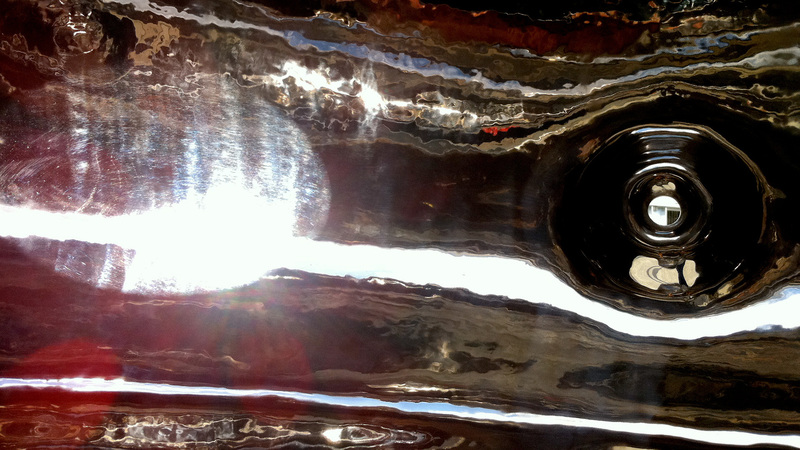 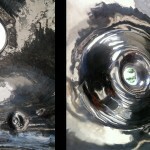 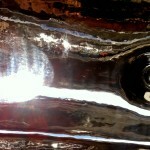 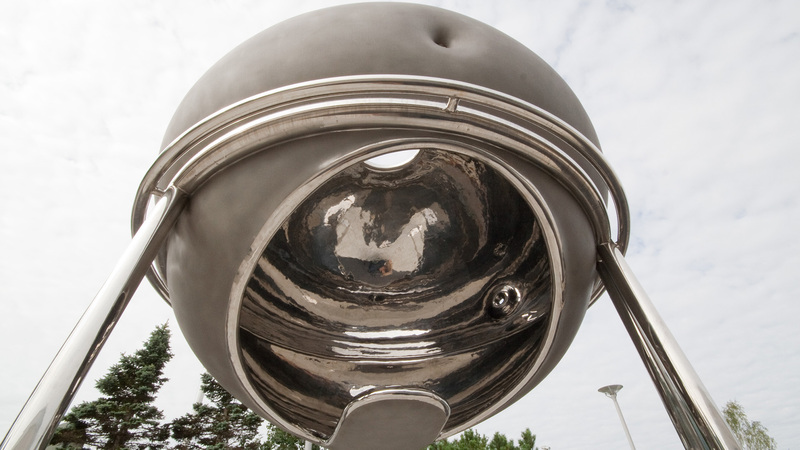 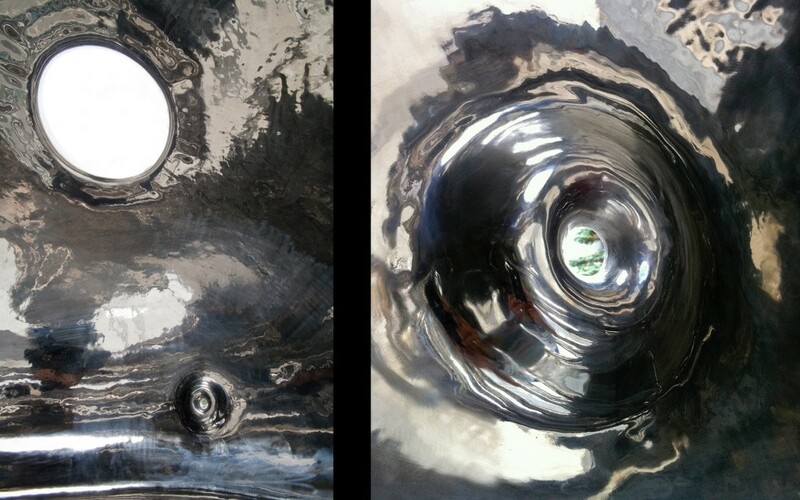 "Sfære for Selvbevissthet/Sphere of Self Awareness", sculpture in stainless steel. 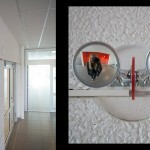 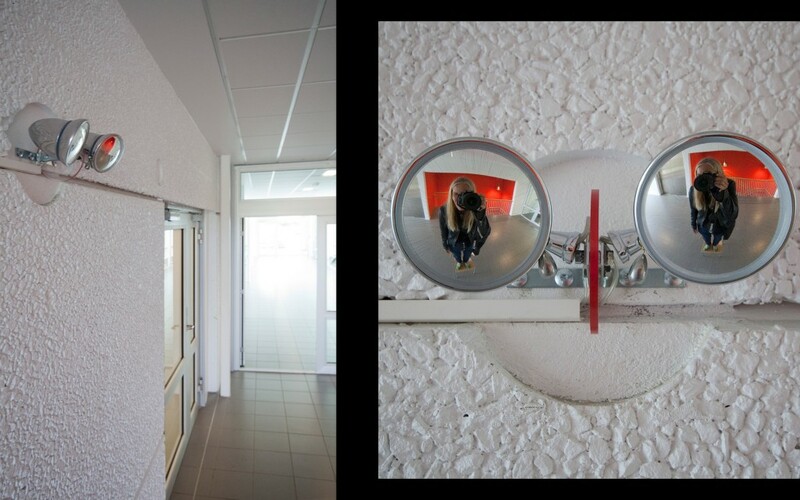 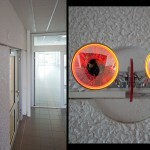 "Eyes of Providence", a small wall object with mirror, light and movement sensor.